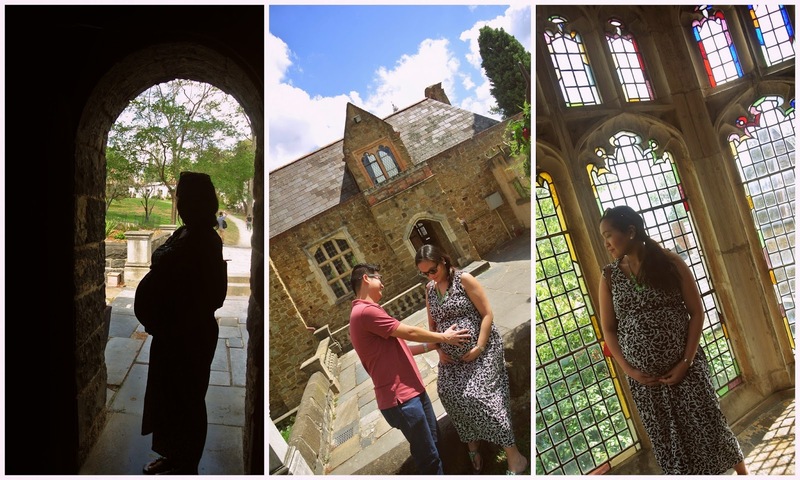 Our prenup shoot had been a couple of years back, and J had been so adamant not to do one again because behind the smiles and lovely photographs, is a very long and tiring day behind the scenes. I say it's worth it, though. 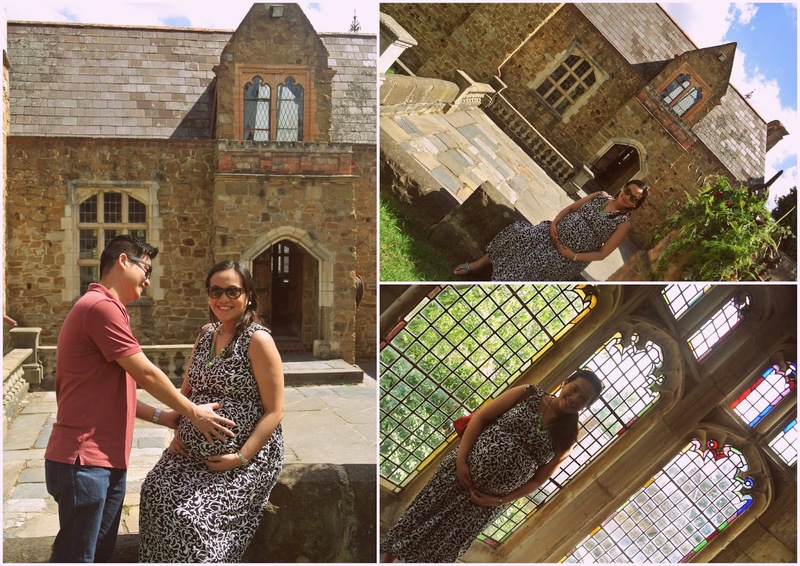 I had always wanted to do a maternity shoot, but with the baby coming and moving into the new place, we decided not to splurge on a shoot and just have a fun DYI photoshoot on our own. That way, we can control our own time, have a light and fun bonding session and it wouldn't be too awkward posing with the bump and all. At the same time, I cannot do away with it totally - it's not always that one gets pregnant and sports a huge bump, so better capture this moment and the stage of our lives we are at right now. Since I wanted to go out and about and date as a couple while we still can, it was the perfect time to hit two birds with a stone. 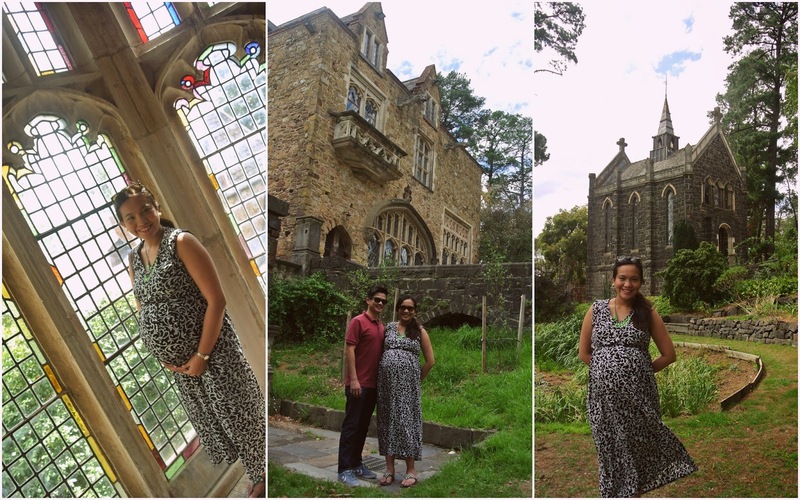 Here's our attempt at a simple shoot featuring the bump during a family outing at Montsalvat. (I'll blog about the European-inspired place soon).